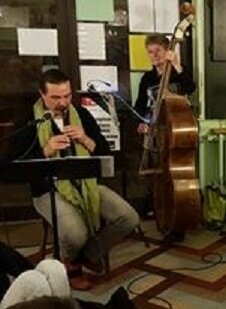 Celtiqua is group of friends, English and French, who meet together to provide enjoyment, through music and song, to small audiences in the Touraine-du-Sud in Central France. Celtiqua est un groupe d'amis, l'anglais et le français, qui se réunissent pour donner du plaisir, par leur musique et leur chanson, à un petit public en Touraine-du-Sud en France. 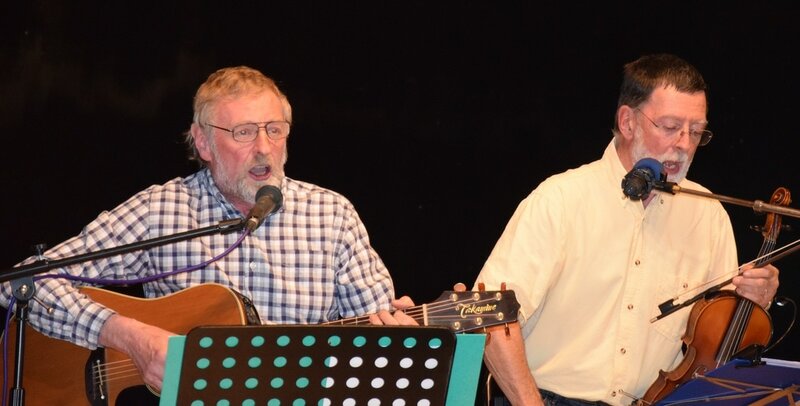 Dave Henderson comes from England where he has sung in a variety of bands and played guitar in Folk Bands and Irish band SIANSA. Dave Brown is also from England where he played fiddle with bands Wild Thyme, Contradition and SKYLARK. ​David Roy is French and works as a Music Teacher in local schools. He brings the authentic sound of the Irish whistle and Irish flute as well as providing wicked keyboard backings for more American style pieces of music. Cally Cheetham hails from the midlands of the UK. As an experienced Jazz double-bass player, playing with 'The Good Time Jazz Quartet' and 'Brookside Jazz' ​, she is enjoying the new challenge of playing a variety of different folk music styles. Her bass provides a rich platform for the rest of the musicians in Celtiqua.